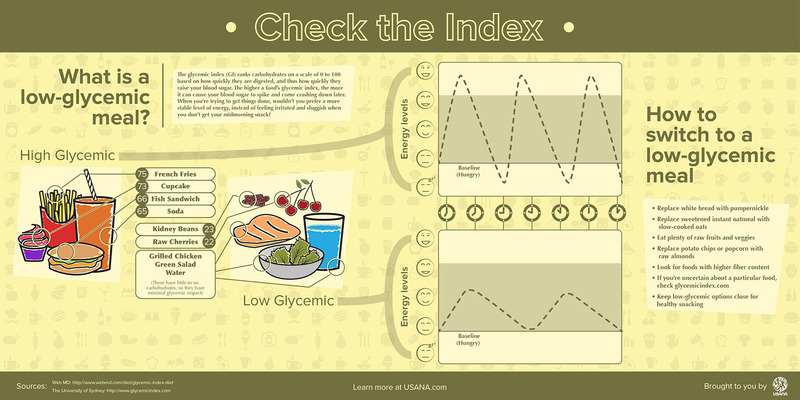 Do you have trouble understanding the glycemic index? 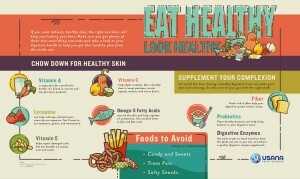 This helpful graphic breaks it down and explains the importance of a low-glycemic diet. Learning from other people’s mistakes — The 13 Biggest Failures from Successful Entrepreneurs and What They’ve Learned From Them. We know how important good gut health and digestion is to overall health. This recent study shows how exercise can have a positive impact on digestive health. Some good tips for working smarter. We all have a desire to get rid of bad habits, this article will help you get started. Today is another important day in our lives, so today run, run like it is the last day of your life, run like you’re a crazy man chasing happiness, run for your family and your friends. Today be happy, enjoy football. But there is one more thing…it’s important you don’t hold back. Great words of advice for anything you want to be good at. Have a great weekend. A new study examines how exercise slows the aging process. 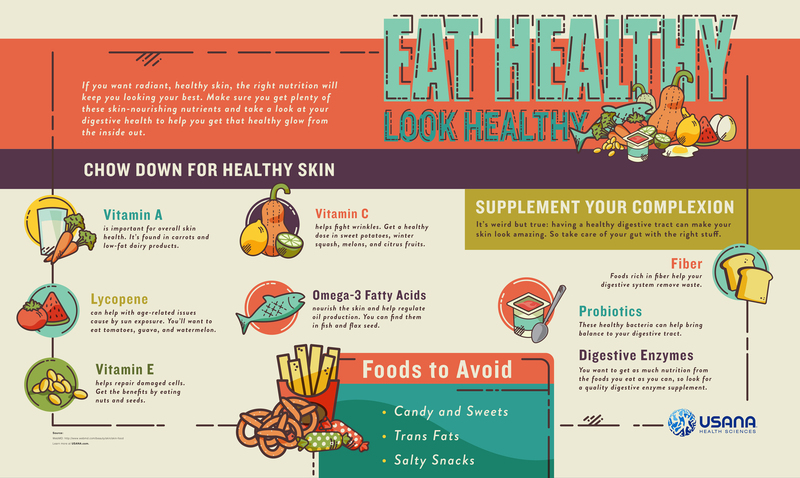 This informative graphic (I guess that’s why they call it an infographic) shows the nutrients and food that lead to healthy skin. USANA’s Dr. John Cuomo answers some compelling questions about USANA’s Essentials, including should a 20-year-old take Essentials, and can’t we get all the nutrients we need by eating a healthy diet? Successful People Start Before They Feel Ready, a great essay by James Clear. Are you doing what you should do, or what you must do? This essay is a must read. This Ted talk by Amy Cuddy gives some simple and effective tips on body language and shows how body language can change your life. 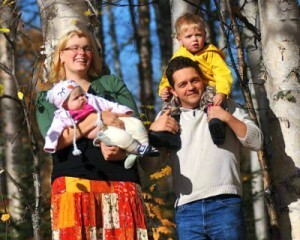 Our friends, Derek and Ashleigh Travers, were among the winners of USANA’s Reset Weight Loss Challenge. Check out their story and their transformation. USANA’s supplement spotlight on a very important nutrient, calcium. This is a good article on knowing it all when you are 22, and learning to admit ignorance and grow from it. In case you missed it, Larsen Global’s matriarch, Collette Larsen, shared her thoughts on 20 years with USANA, and her perspective after being evacuated from her home due to California’s wildfires. Some great life lessons in this commencement speech by Admiral William H. McRaven, a Navy SEAL Commander. I’m definitely paying more attention to how I make my bed. Last week was rough. I live in paradise. Even the name of our community – Elfin Forest – has a surreal, mystical quality about it. However, our forest is not a rain forest or even a cool, damp place like the beloved redwood forests to the north of us. During especially drought-sticken years like the one we’re in, our forest is a tinderbox of scrub oak, eucalyptus and chaparral. And last week our forest caught fire. For two days we sat glued to our local TV news watching the devastation going on in communities just to the north and east of us. My husband Ric soaked our three acre property, which he has lovingly manicured over the years, and positioned our sprinklers to hit the roof of our home. 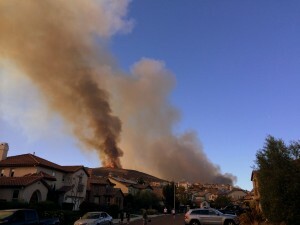 Every hour or so we would go out in our yard to monitor the thick, choking smoke-filled skies around us and at one point watched in horror as flames leapt up on Double Peak Ridge – an area we have hiked dozens of times. We received a “suggested” evacuation notice. Suggested…not mandatory. It came on the third day of this ordeal when finally, finally the skies seemed to be clearing and we felt we were (pardon the pun) out of the woods. 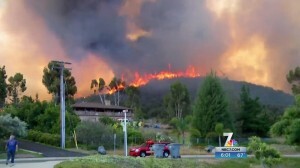 We learned the mandatory evacuation came from a state rather than a local agency – a group of people looking at a map who obviously didn’t realize the fires had moved far to the east of Elfin Forest. The skies were blue! What would you do? We filled three bins with irreplaceable valuables that could be thrown into Ric’s truck if our suggested evacuation became mandatory, fed our precious puppy, Revi, and got her settled in for the evening and then…okay, I’m going to admit it…went to the Journey/Steve Miller Band concert. Please don’t send animal protection services. I LOVE my puppy! We were CERTAIN all was safe. We desperately needed a diversion. I’d purchased these two great seats at this fabulous concert a couple months earlier as a birthday surprise for my husband – and frankly, I’m just crazy about both Journey and the Steve Miller Band…have been for about forty years. 1 – Suggested evacuation became MANDATORY while Ric and I were rocking out at concert. 2 – All roads leading to Elfin Forest CLOSED! 3 – No amount of begging gets a 10-Star Diamond through a hard road-block. 4. Spent night in car, mostly crying. 5. Fabulous husband HIKES in to rescue beautiful white lab puppy. 6. Fabulous husband not allowed to leave property to rescue frantic wife. 7. Years of hiking and “can do attitude” pays off as we reunite using back-country trails. Now, what does all this have to do with my 20-year anniversary with USANA? I made a decision in 1994 that changed the course of my life. USANA was the primary reason I remained calm as I filled those bins. USANA is the gift that keeps on giving. I have received a deposit in my checking account every week now for over twenty years…that’s over ONE THOUSAND FORTY weekly deposits. That solid, comforting fact has allowed me to release any anxiety about my future…come hell or high water (or fire), I know USANA will be there! However, even more than the financial stability is knowing I have an extended family of friends – individuals I love and respect. Thank you for your kind thoughts, your positive messages and your prayers. I am blessed beyond words to know you and to associate with you. Finally, I look forward to seeing so many of you at this year’s convention. I understand the theme is “IGNITE!” Uh, really? Actually, I love it. This girl is on fire! Sorry we missed last week’s update. We were busy dealing with the Southern California wildfires. Collette and Ric were evacuated along with Dax and his family. We are all safely home now, and so grateful for the firefighters and the rest of the first responders who put their lives on the line. Dax wrote a piece about returning to the trails after the fire, and hopefully Collette will share her story which involves some great music and a couple of police encounters. We want to thank the friends and family who offered to help, and checked up on us during this time. When natural disasters like this happen, it always brings things into perspective, and reminds us of what is truly important in this life, namely the relationships we have made, so again, thank you. On to the weekly news roundup. Here are some of the things we have been reading throughout the week. We love the new USANA foods video. A new study shows that Probiotics, while beneficial to the digestive process, may also help women lose weight. An entrepreneur shares lessons her mom taught her about being a woman in business. An excellent article by Dr. Christiane Northrup on vitamins vs. drugs, and which is safer. Two great articles on what being sedentary does to the brain: the first from Dr. Weil, and the second includes a great 7-minute workout. Everyone has 7 minutes. I’ve done this workout, and believe me, it will make you sweat. The gift of an hour. A very cool infographic that highlights USANA’s growth. This one simple thing can make your life so much better. Some great tips from USANA on using Instagram. Make sure you follow us at @LarsenGlobal. What General Ulysses S. Grant can teach us about succeeding in business. Here’s a tip for inspiring greatness in others. Happy Mother’s Day to all the mothers out there. Enjoy your day. What you do matters more than you can imagine. If you haven’t already seen it, watch this video of Kevin Durant’s MVP acceptance speech as he pays tribute to his mother. 10 Ways to Amp Up Your Energy from Dr. Libby. How to make exercise more fun from one of our favorite people, Kathy Kaehler. An interesting read on checklists and why they are important. GET RICH QUICK (not what you think)…some great advice from Seth Godin. I always feel like my best ideas come to me during, or immediately after exercise. A recent study demonstrates how exercise spurs creativity. Speaking of creativity, I really enjoyed this short video on the creative process from Ira Glass. This week, What’s Up, USANA? turned their spotlight on one of my favorite products, BiOmega Fish Oil. 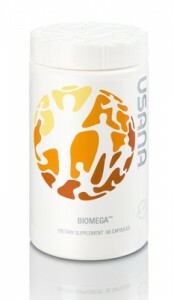 It was great to learn that USANA’s BiOmega Fish Oil comes from sustainable fisheries, and is tested for purity and potency by independent product testers, Consumerlab.com. An interesting study on Younger Skin Through Exercise. This article lists 8 common traits that people share, and that entrepreneurs should pay attention to in order to better understand what people want. This story touched me, and it made me more mindful about how I treat others, especially those in need. If you haven’t already, please take time to sign The Direct Selling Proclamation and Compact. Let your voice and your story be heard. Recent Vitamin D studies from Harvard and Oxford Universities showed that taking Vitamin D (specifically Vitamin D3) may decrease your risk of death from heart disease and cancer by 11%. 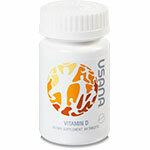 USANA’s Vitamin D contains 2000 IUs of Vitamin D3. A new study links sugary drinks to obesity in children. Want a healthy drink? USANA offers a healthy alternative to sugary drinks with Nutrimeal, shown in this new video. Darren Hardy offers some great tips in his series, Giving Wow Presentations. This week’s installment includes one of the best presentations ever given. Do you want to be more charismatic? Here are 9 things you can do to become more charismatic. A simple tip to cut calories, while at the same time increasing mindfulness — eat slowly. 10 phrases great speakers never use. Are you using these in your presentations? For many millennials, American Dream-style consumption feels cookie cutter. Products or services that help us make unique, true-to-us choices will also have a great shot at success. Reading the Darren Hardy article above led me to re-listen to this amazing speech by Steve Jobs. I’ve heard it before, but every time I listen to it, it touches, motivates, and inspires me. If you’ve already seen it, it’s worth watching again, and if you haven’t seen it, you really owe it to yourself to watch it. There were a couple great articles on USANA’s blog this week. Their latest Supplement Spotlight focuses on fitness, and the latest in the Family Focus series gives tips on how to spring clean your life, from your home, to your finances to your body. We are really looking forward to seeing Tony Robbins at this year’s USANA Convention. Here are 6 tips on effective selling from Tony. And here’s some good advice on having great conversations. How to eliminate BS in business. 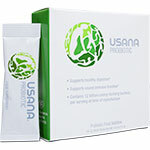 Athletes are saying gret things about USANA in The Best Kept Secret of Elite Athletes. A very simple and thoughtful post from Leo Babauat: You’re Not Worse Than Other People.